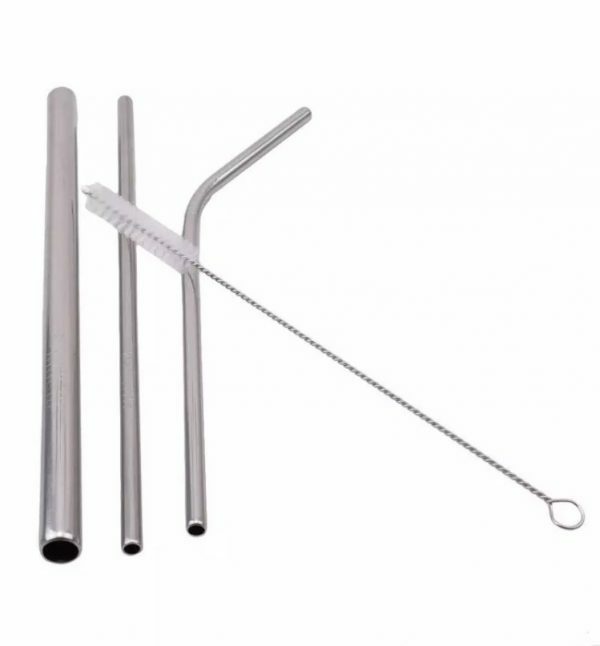 These Stainless Steel Straws are made from high-quality, food-grade Stainless Steel #304 so they never leach taste, and feature 3 different sized straws and cleaning brush making them ideal for all types of cold drinks, including thick shakes and smoothies. Lightweight and environmentally friendly, these reusable straws come in a set of 3 and include their own perfectly sized cleaning brush, so it’s easy to keep them hygienically clean between uses. 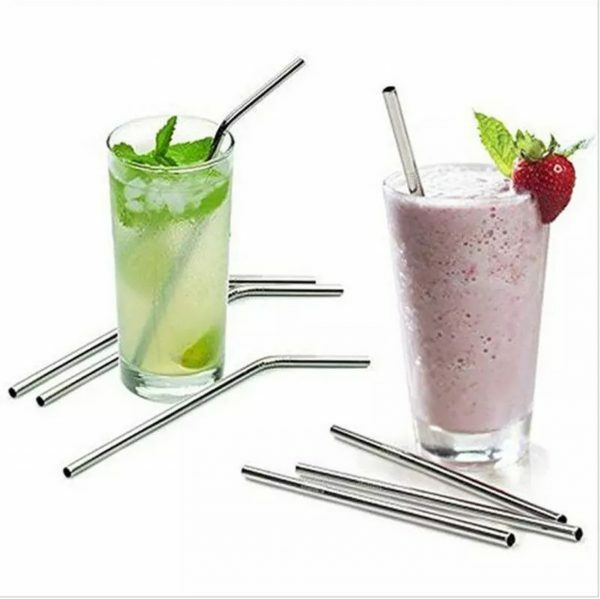 These long-lasting Stainless Steel Straws will save you money; protect the planet by reducing the number of plastic straws going to landfill or ending up in the ocean; and are fully recyclable should you ever need to dispose of them. 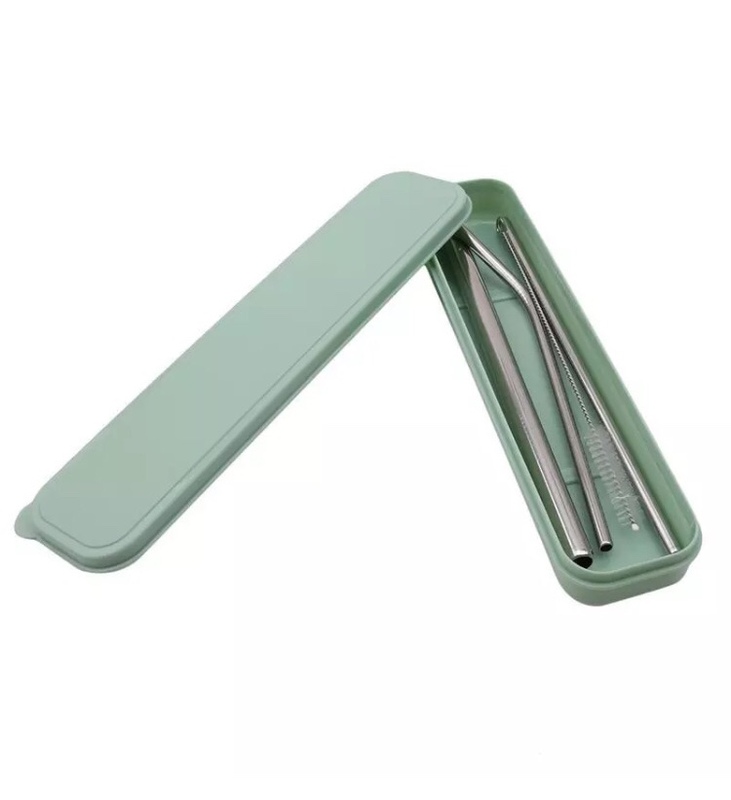 They come in a container to keep them clean, especially if you carry them in your bag.